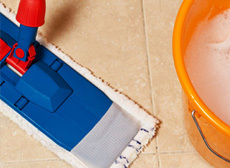 Nadia’s House Cleaning proudly supplies the local commercial businesses and residential homes of Boston, Massachusetts and surrounding areas with a number of house cleaning and janitorial services. We have been licensed and insured since 1986 to deliver affordable and professional services, continue to do so until this day and will continue for years to come. Nadia’s House Cleaning specialists have advanced training, years of experience, and incorporate high moral standards and work ethics, friendly customer service, and superior execution on all services rendered. With the use of premium graded equipment and products offered exclusively to licensed professionals, we assure our valued customers are getting a maximum level of clean. Nadia’s House Cleaning includes office cleaning services to the offices of the Greater Boston, Massachusetts area. 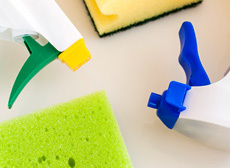 Keeping production high, the workplace comfortable, and maintaining a healthy environment is all easily accomplished with Nadia’s House Cleaning office janitorial services. Your office staff is fully loaded as it is, with no time to keep the office clean; it can quickly get out of hand. Germs being passed around will cause a cycle of employees to call out sick, and it is a proven fact that a clean environment helps stimulate focus and comfort to keep production high. 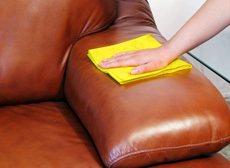 – Floors are properly cleaned accordingly, swept, dust mopped, mopped, waxed, and vacuumed. – Trash from every room, desk/cubicle area, restroom, and reception area is removed. – Surfaces and furnishings are all dusted and free of cobwebs. – Customer and employees restrooms are thoroughly disinfected and deodorized including; toilets, floors, sink, countertops, and mirrors. – Break room and/or mini kitchen area is meticulously cleaned; floors, tables, countertops, surface area, and appliance exteriors. – Foyer/lobby/reception area is completely tidied and wiped down. – Any stairs or elevators are cleaned. – Individual office rooms and cubicles are wiped down. Offices in the Boston, Massachusetts and surrounding areas should invest in Nadia’s House Cleaning services for a number of reasons. Below are just few reasons why Nadia’s House Cleaning professional office cleaning service is the most optimal choice. 1. Nadia’s House Cleaning of Boston, Massachusetts trained professionals that know proper protocol involving cleaning, dusting and sanitizing. Tidying up is a part of cleaning, but there is far more that needs to be done in the office. 2. 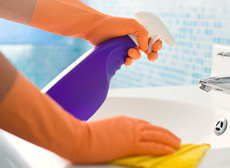 In many scenarios where business owners or office managers delegate the cleaning responsibilities to employees. The employee morale falls as most office personnel are not hired to clean, but to make sure their expertise is used and valued. Opting for a professional cleaning of Nadia’s House Cleaning can give your staff the respect they have earned. 3. With dust, allergens, and pollutants along with germs and bacteria accumulating, the staff’s respiratory system is at risk. Being assaulted with severe allergy symptoms, colds, and flu to name a few will have your employees out sick instead of doing the work they were hired to do in the office. Nadia’s House Cleaning is on top of the debris and can keep your office in clean order. 4. Toiletries such as hand soap, sanitizers, paper towels, and toilet paper are stocked to ensure employees and customers if need be, have the appropriate items for when they visit the restrooms. When your Boston, Massachusetts office is in need of a thorough cleaning, have Nadia’s House Cleaning take care of it for the ultimate clean. Call us today to get started!